Personalised ties for men are a wonderful addition to any wardrobe. Most men have ties that they can get off a rack in a store, but spending the money on custom ties is something that guys can do to get the most for their money when it comes to fashion. A custom tie can include the patterns and colours that men like without forcing him into one kind of look that he may or may not be comfortable with. This is also a wonderful way to match ties with suits that guys buy. Sometimes, you might find the perfect work clothes, but you have no ties to go with them. You end up wearing something that is, at best, alright, but it is not something you are really fond of. When you go to a custom shop to get your ties made, you want to know a few things about the personalised ties. First, can they embroider them? You want to know if you can get your monogram or other personalised items on the tie. This can bring a nice touch to any otherwise impersonal article of clothing. Next, you want to know how they make the ties. You should ask how they fold them, what sort of techniques they use, and how they are sewn together. This is a good glimpse into the durability of the tie and whether or not it is going to hold up if you are wearing often. Then you need to look into trying to find accessories that match those ties. Guys who are spending money on custom ties should also have kerchiefs and other accessories that match the ties as well. There's nothing better than a custom tie that makes you feel great and look great that is matched with a pocket square that was made especially for that tie. That brings your suits together in a way that you almost cannot even imagine. When you are thinking of the ways that you want to incorporate these items into your wardrobe, remember that you have more options than to simply wear these ties to work. You can wear customised ties to the office, but you can also wear them for a night on the town, for special occasion, and for any other event that requires you to dress up. You could even go so far as to order bow ties that are custom made just for you. You might feel like the bow tie suits you better than a plain neck tie. Plus, it is a way to mark your personal style so that you stand out from the crowd. It might feel like the kind of thing that is a little bit too different for you, but those kinds of things will make you look unbelievable. You will get compliments nonstop. When you are thinking of making a major investment in your personal wardrobe, consider what you can do for your look with the purchase of custom ties that are made just for you. They can be made to the right length for you, embroidered, and personalised to match your style and needs. You can get clothes that look fantastic without being too flashy or prim. 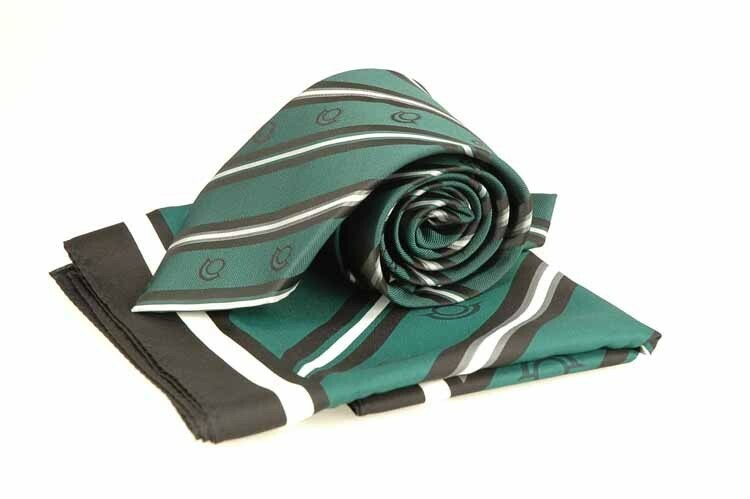 You will feel wonderful and look even better at the office or on the town with your personalised ties.